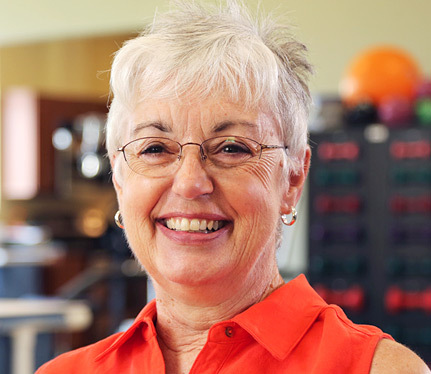 As no two conditions are the same, our Outpatient Physical Therapy specialists develop and action a personalized rehabilitation program that restores each patient’s strength, mobility, and well-being. Richfield’s Outpatient Therapy Clinic, located in our Wellness Center, provides award-winning outpatient therapy services for residents of Richfield and the surrounding communities. Our treatment areas include a selection of strength/cardio equipment and a warm saltwater therapy pool. We cater for all ages, and our primary goal is to offer outpatients the opportunity to heal and regain their well-being after a specific injury, condition, or setback. 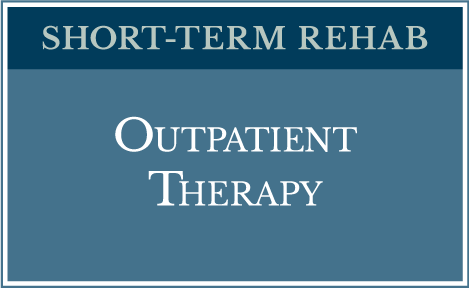 Outpatient Physical Therapy is the physical rehabilitation of individuals recovering from injuries or disease. The goal of physical therapy is to help patients restore mobility thus minimizing the need for expensive surgeries or long-term reliance on medications. Our expert physical therapists also teach patients how to prevent or manage their condition so that they can attain long-term health benefits. Occupational Therapy also considers the physical aspects of rehabilitation and motion, but is focused primarily on enabling the patient to engage in the meaningful activities of daily life. 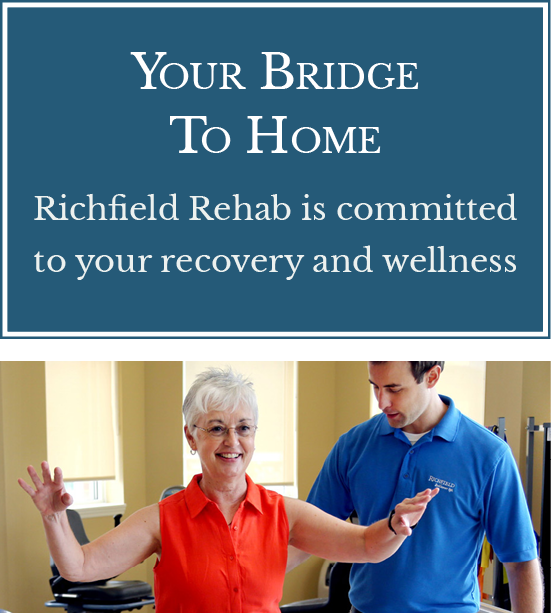 Our therapists at Richfield’s Outpatient Therapy Clinic assist patients through therapeutic adaptations and modifications to their environments. Our Outpatient Therapy Clinic is completed by offering Speech Therapy. Speech Therapy specializes in the assessment, diagnosis, treatment, and prevention of disorders related to speaking, swallowing, and communication. For appointments, or more information, call our Outpatient Physical Therapy Clinic at 540-444-3668. Physical Therapy is the physical rehabilitation of individuals recovering from injuries or disease. The goal of physical therapy is to help patients restore mobility thus minimizing the need for expensive surgeries or long-term reliance on medications. Our expert physical therapists also teach patients how to prevent or manage their condition so that they can attain long-term health benefits. Occupational Therapy also considers the physical aspects of rehabilitation and motion, but is focused primarily on enabling the patient to engage in the meaningful activities of daily life. Our therapists assist patients through therapeutic adaptations and modifications to their environments. Speech Therapy includes the assessment, diagnosis, treatment, and prevention of disorders related to speaking, swallowing, and communication. This facility is amazing. They tailor everything to you. It’s a wonderful place to come and recover.